In the age of technology and the impact of multi-culturalism on our communities, it is increasingly necessary to cultivate the communication skills that we have developed throughout our history as humans. However, the vast majority of people behave non-verbally in an intuitive way, following acquired cultural patterns and giving full prominence to the spoken word. We express ourselves non-verbally, but we lack the technique and knowledge to decode the messages of others and adapt our own according to what we want to convey. Teresa Baró is an expert in non-verbal communication and one of Spain’s leading figures in the field. 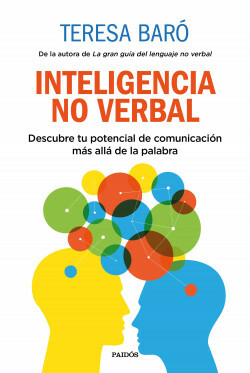 The book develops a new concept, non-verbal intelligence, and explains in a very synthetic way what it consists of and how to develop it in the workplace and the personal sphere. This book provides resources to develop your communicative talent and discover how non-verbal language proficiency can be the key to personal and professional success.